A face moisturizer is one of the key items in every woman’s toiletry cabinet, as well as a growing percentage of men who have come to embrace the importance of proper skin nourishment. However, choosing the right face moisturizer can be a challenging task, as there are many things to consider and a staggering array of products to choose from. Read on to find out what separates a good product from the best face moisturizer. 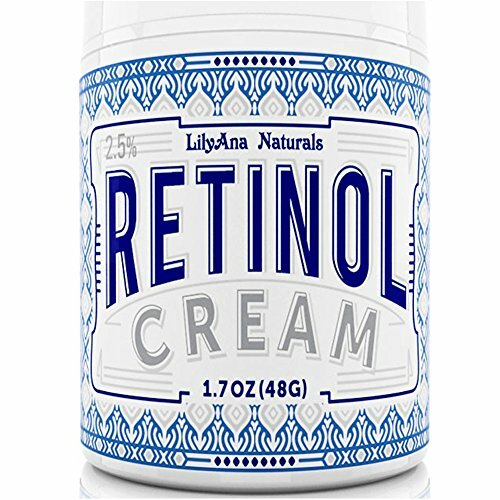 The Lilyana Naturals Retinol Cream Moisturizer is a 2.5% retinol formula designed to serve as both day and night moisturizer. The manufacturer advertises this cream to be suitable for all skin types and effective at removing blemishes, stretch marks, spots, sun damage, and more. The Retinol Cream Moisturizer comes loaded with organic ingredients such as vitamin E, hyaluronic acid, green tea, jojoba oil, and shea butter. It won’t leave oily residues on your skin and it dries rather quickly. It has no artificial fragrances and is gluten-free. Bonus points go for not being tested on animals. 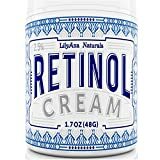 While not exactly the cheapest option out there, this retinol cream is very effective with a wide range of skin types. It dries fast and can be used by adults and children alike. Retinol Cream Moisturizer has a nice neutral smell and is gentle enough for people with sensitive skin. As a retinol-based moisturizer, this cream will probably cause outbreaks in the first couple of weeks. Also, it comes without sunscreen, so you’ll have to apply one separately. 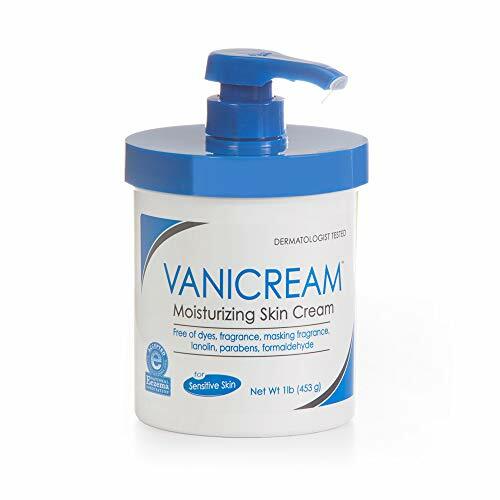 The Vanicream Moisturizing Skin Cream is one of the most affordable moisturizer options out there. For that, it comes in a rather plain-looking can, though it’s equipped with a push-down pump dispenser. This affordable moisturizing cream comes in a big package (16 oz./1 lb.) and is free of parabens, lanolin, formaldehyde, fragrance, and dyes. It is primarily for dry skin and has a smooth, thick texture. It is suitable for both adults and children. The Vanicream Moisturizing Skin Cream is a very mild formula that won’t harm even some of the most sensitive skin types. It has a natural scent without artificial cover-up fragrances. It can also help to an extent with conditions such as psoriasis, eczema, winter itch, and ichthyosis. On the downside, the cream is thick and white and takes a long time to absorb. While being advertised as helpful against eczema, winter itch, psoriasis, and ichthyosis, its effectiveness is rather limited in this regard. When choosing the best face moisturizer, it is important to look for natural ingredients which nourish and protect the skin. Baebody’s Retinol Moisturizer Cream is rich in natural ingredients, neutral smelling, and packed in a modern 1.7 oz. can. 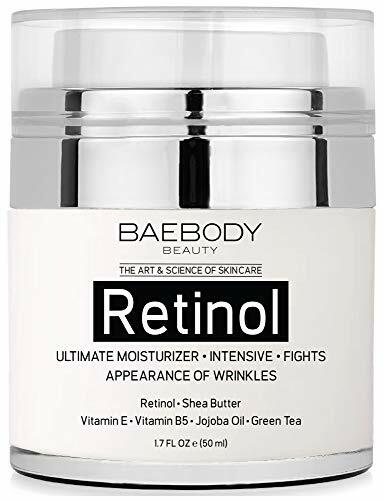 The Baebody Retinol Moisturizer Cream has a lightweight texture and absorbs rather quickly. Due to its strong formula, you should keep it away from kids. Some of the nourishing ingredients featured in the formula include vitamin E, retinol, green tea, shea butter, vitamin B5, and jojoba oil. On the upside, this formula works well with various skin types and is made as both a day and night moisturizer. This product is made in the US without animal testing. The highlighted ingredients give this moisturizer an edge over many similar products out there. As good as it is, the strong formula might cause burning and itching sensations if you have sensitive skin or are prone to allergies. Also, you’ll have to apply sunscreen separately, as the retinol increases the skin’s sun sensitivity. 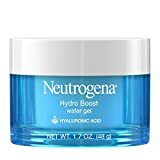 Neutrogena is one of the world’s most reputable brands in skincare products. 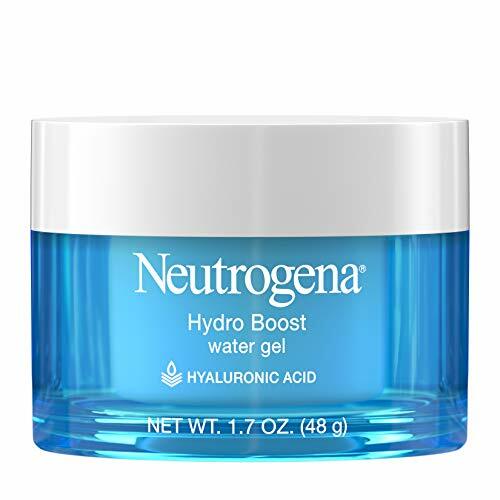 The Hydro Boost Water Gel comes in a modern, stylish package and boasts a gel-based formula. This gel-based formula with hyaluronic acid is completely alcohol-free and non-comedogenic. This moisturizer is made for daily use and free of artificial fragrances, oils, and dyes. It can be worn under makeup as well, as it’s thin and dries quickly. Due to being oil-free and gel-based, this moisturizer is great for oily skin type. The fact that it doesn’t block the pores will let your skin breathe freely while staying moisturized and protected from the elements. It also helps temporarily relieve itching and irritation caused by rashes and eczema. On the flipside, the Hydro Boost Water Gel doesn’t feature many natural ingredients which might be a deal-breaker for some. Also, due to its oil-free formula, this moisturizer is not recommended for people with dry skin. The Regenerist Micro-Sculpting Cream is a part of a wider palette of Regenerist skincare products by Olay. This strong anti-aging formula is rich in hyaluronic acid and vitamin E. The Micro-Sculpting Cream in a nicely designed 1.7 oz. jar is mildly scented. 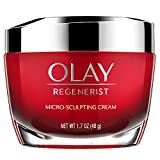 The Regenerist Micro-Sculpting Cream moisturizer is based on Olay’s amino-peptide complex II formula used throughout the Regenerist line. It’s both a day and nighttime face moisturizer. Aside from hyaluronic acid and vitamin E, it also contains vitamin B3 (niacinamide). This cream is a good solution for those seeking a face moisturizer that has an anti-aging effect. It works well with various skin types, including oily, normal, combination, and dry. The negatives include an almost complete lack of natural ingredients and the inclusion of alcohols and parabens. Also, the Micro Sculpting Cream is too strong for those with sensitive skin as it might cause irritation. Buying a face moisturizer can be a tricky thing, as there are many things to consider and a seemingly endless supply of available products. However, in order to select the right one, you should first determine your skin type. Besides that, you should also check the moisturizer’s SPF (sun protection factor) and main ingredients (antioxidants, occlusive, humectants, and emollients).The best face moisturizer should also be hypoallergenic. Therefore, it should not contain artificial fragrances or potentially harmful preservatives. Preferably, it shouldn’t cost too much. Without further ado, let’s see what makes a good face moisturizer. When choosing a face moisturizer, the first thing you should consider is your skin type. Persons with dry skin shouldn’t use the same moisturizer as the those with oily or sensitive skin. Likewise, someone with normal skin should not choose the same moisturizer as someone with combination skin. Let’s take a closer look at the characteristics of the best face moisturizer for each skin type. If you have normal skin, you still need face moisturizer. Perhaps less than some other types but, nonetheless, you should use it regularly. Choose one combined with sunscreen for maximum effect. If your skin is oily, it doesn’t mean that it doesn’t need moisturizer – quite the opposite. Once you wash your face and clean off the oil, you should apply some moisturizer to keep the skin fresh and hydrated. You should go for an oil-free moisturizer. A gel-based moisturizer being is probably the best option here. If you have sensitive skin, you should first test a moisturizer before buying and make sure it doesn’t irritate your skin. It is recommended to get a moisturizer that’s free of dyes, artificial fragrances, and acids. Also, natural moisturizers based on aloe, chamomile, and green tea might be a good option for you. Dry skin is among the trickier types to maintain and care for. It needs some extra care and love. You will need plenty of hydration and protection from your moisturizer. Hyaluronic acid will help your skin retain water, while lactic acid will have a soothing effect. Glycerin also retains water, while lanolin fills the outer layers of the skin with water. Since they’re richer, creams might be a better solution than lotions. Depending on the combination, this type might be the toughest one to maintain and nourish. If, for example, you have both oily and dry sections, you might want to go for two different moisturizers. Also, it might be a good idea to invest in a moisturizer with balancing qualities. You should look for juniper and lavender if natural skincare is your thing. If you’re out and about in the day, you should also wear sunscreen. Even if it’s not a beach day, you should give your skin proper protection from the sun. The best way to keep your skin hydrated and safe from UV rays is to use a moisturizer with sunscreen (SPF rated). The best face moisturizers with sunscreen offer broad spectrum protection, meaning it will protect your face from both UV-A and UV-B rays. The majority of commercially available moisturizers has an SPF range of 10 to 50, though you should go for the factor that’s most suitable for you. It is recommended not to go below SPF 30 for effective and lasting protection. Also, make sure that your moisturizer of choice is made precisely for your skin type. To find the best face moisturizer, you might have to test out a couple of them first and see how they perform. You should also look for the non-comedogenic ones that do not block pores, which can cause blackheads. Despite the fact that they all claim wondrous effects on your skin, the truth is that not all face moisturizers are created equal. The key differences “under the hood” can be found on the list of ingredients. The major groups of ingredients are occlusives, humectants, antioxidants, and emollients. Let’s look into some of the most important ingredients. Occlusive ingredients are there to increase the amount of water in your skin. They do it by slowing down its evaporation from the surface of your face. Though most commonly used, mineral oil is not the most effective occlusive on the market. It is greasy and has a smooth texture. Cyclomethicone and dimethicone are silicone-based alternatives that are not greasy. Other prominently used occlusives include beeswax, propylene glycol dioleate, capric triglyceride, and paraffin. Humectants are there to increase the amount of water in the epidermis. They do it by transferring it from the dermis. At a humidity level of greater than 70%, some humectants can use water from the atmosphere and attract it into the epidermis. Some of the most commonly used humectants include urea, sodium PCA, glycerin, sorbitol, butylene glycol, ammonium lactate, propylene glycerol, and hyaluronic acid. Antioxidants are there to help the skin keep its regenerative power and ability to retain moisture. They also play a significant role in protecting the skin from the elements and age-related deterioration. If you want the best effect for your skin, you should go for a moisturizer that has several antioxidants. Some of the best and most prominent include quercetin, ferulic acid, feverfew extract, superoxide dismutase, gallate, vitamin E, vitamin C, grape extract, green tea extract, resveratrol, willow extract, and licorice extract. They are there to lubricate your skin. They fill in the little gaps between the corneocytes which are going through the process of shedding (desquamation). Also, emollients keep your skin looking and feeling smooth to the touch. Some of the most frequently used emollients include lanolin, propylene glycol linoleate, cyclomethicone, glyceryl stearates, isopropyl palmitate, and dimethicone copolyol. The best skin care products, including the best face moisturizer, have a neutral scent and are completely free of fragrance. That’s because artificial fragrances can damage skin. Even if the damage is not always visible, most fragrances only affect the skin. That’s due to the fact that fragrance ingredients release their smell via a volatile reaction. These ingredients are volatile (they don’t last forever when exposed to air) and react with air and other substances and one of the products of the reaction is the smell. This naturally raises the question: Why do so many skin care products, including face moisturizers, contain fragrances? There are several answers to this question. The first and most obvious is that many consumers like their cosmetic products to have a nice smell. Besides that, some of the products would smell rather unpleasant if it weren’t for the masking fragrance. Finally, fragrance ingredients in moisturizers and other cosmetic products help cover up the smells which develop over time. Some manufacturers resort to essential oils and plant extracts instead of artificial fragrances. However, despite their beneficial effects on the skin, plant extracts and essential oils also release their smell in a volatile way. Some of the most frequently used fragrant ingredients include orange (Citrus sinensis), ylang-ylang oil (Cananga odorata), limonene, linalool, perfume, cinnamal, geraniol, eucalyptus, eugenol, lavender oil (Lavandula angustifolia), bergamot oil (Citrus bergamia), tangerine (Citrus tangerina), peppermint (Mentha piperita), cinnamon (Cinnamomum), spearmint (Mentha spicata), lime (Citrus aurantifolia/medica), rose flower extract (Rosa damascene), and many others. Due to the common inclusion of fragrances, preservatives, and other chemicals which may cause allergic reactions, face moisturizers are frequently cited among skincare products which need to be selected very carefully. This goes double for moisturizers which also contain sunscreen. The best face moisturizer should be hypoallergenic. There are two common types of allergic reactions to skincare products – irritant contact dermatitis and allergic contact dermatitis. Here’s a word or two about each of them. Irritant contact dermatitis occurs when a skincare product (a face moisturizer in this case) causes physical damage to your skin. Itching, burning, redness, or stinging might accompany the damage. Blisters and oozing are not uncommon either. Allergic contact dermatitis goes deeper and actually affects your immune system. Similar to the previous type, the symptoms might include redness, itching, or burning. Additionally, swelling and hives might occur. The most frequently affected areas include the lips, ears, eyes, neck, and face. Most commonly, allergic reactions are caused by preservatives and fragrances. So, your best bet is to look for a moisturizer labeled “fragrance free”. Beware, however, that many “unscented” moisturizers include a fragrance to mask the chemical smells. Regarding the common preservatives, DMDM hydantoin, Quaternium-15, methylchloroisothiazolinone, phenoxyethanol, and formaldehyde have been linked to allergic reactions. What Face Moisturizer Should I Use? There are several important things to look for when picking the best face moisturizer. Here’s a brief overview of each of them. The face moisturizer has to be made for your particular skin type. The wrong type might lead to skin problems and other health issues. You should go for a fragrance-free moisturizer, as fragrance chemicals release scent through volatile reactions. Also, they are heavily linked to allergic reactions. If you’re spending time outside, it would be a good idea to invest in a moisturizer which also offers sun protection. Your best bet is a moisturizer with broad spectrum (UV-A and UV-B) protection and a high factor. It goes without saying that you should look for a product which doesn’t cause allergic reactions. That means to look out for fragrances and preservatives linked to skin allergies. The answer to this question mostly depends on your skin type and your daily hygiene routine. Generally, regardless of the skin type, you should use your best face moisturizer every day. The most common routine is once in the morning and again in the evening. That being said, if your skin is dry, it might need to be moisturized more often. The most common times to apply moisturizer are after you’ve washed your face in the morning and when getting ready for the bed in the evening. Also, men should moisturize their faces every time they shave, as shaving peels off dead skin from the face and might remove some of the natural oils in the process. It is also recommended to apply moisturizer after bathing. If you’re working in the open and exposed to the elements, you might want to apply the moisturizer more frequently. Also, if you’re having a long flight, the low cabin humidity might dry your skin. So you should moisturize before long flights. Swimming in chlorine-filled or salty water is also known to make your skin dry, so always moisturize after swimming. Once you’ve picked the best face moisturizer, it is time to apply it. Applying it properly is easy and doesn’t take long. Here’s how to do it. First, you should wash your face. Once you’ve finished, pat your face with a towel. Don’t scrub, especially if you have sensitive skin. Make sure to wash your face with warm water. Open the moisturizer container and place a good amount in your hand. Keep in mind that the recommended amount stated on the package is just a guideline. If you feel that the amount you’ve used is too much or too little, you should adjust accordingly. Apply dabs of it onto your face. You should apply to your cheeks, nose, forehead, neck, and chin. Also, include the visible portion of your chest if you’re wearing a low-cut dress or shirt. Spread the moisturizer around your face in circular motions. You can start from the forehead, neck, or cheeks. You should let the moisturizer dry before you proceed to applying makeup. What to Use for Dry Skin on Face? Apart from using the right moisturizer and washing your face with warm water, there are a couple of other things you can try if you have dry skin on your face. You should exfoliate several times a week if you have dry skin. Besides commercial skin exfoliators, you could try a mix of honey (a tablespoon) and ground oatmeal (a teaspoon). Rub the mixture on the dry spots and wash it off. If this doesn’t help, you might want to use glycolic acid. Jojoba and argan oils are good for very dry skin. After washing your face with clean, warm water, spread the oil over your face with your fingers. Use a wet towel to gently wipe the oil off your face. Repeat if necessary. Finally, wash your face with warm water. How Much Moisturizer Should I Use? Once you’ve chosen the best face moisturizer, dialing in the right amount is a process of trial and error. Start with the recommended amount and see whether it is too much, too little, or just right. If you’ve used too much, your skin will become shiny and you might have breakouts. It might feel heavy and putting on makeup will be harder. If, on the other hand, you’ve used too little, the skin on your face might flake and feel tight due to a lack of hydration. Finally, it is time to determine the best face moisturizer. The title goes to the Baebody Retinol Moisturizer Cream. Its strong formula of vitamin E, retinol, green tea, shea butter, vitamin B5, and jojoba oil did it for this outstanding moisturizer. It can work with different skin types and can be used as both day and night-time moisturizer. 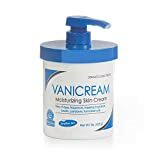 The best budget face moisturizer is the Vanicream Skin Cream. This mild formula can be used by kids as well. It comes in a big container (1lb) and can be used as a night cream as well. The Vanicream moisturizer can help with psoriasis, eczema, winter itch, and ichthyosis symptoms. Does Weed Make You Break Out? How Long Does Moisturizer Last? Does a Moisturizer Prevent Wrinkles? Does Moisturizer Make Acne Worse? Some recommended products may use affiliate links. FloralSkin.com is a participant in the Amazon Services LLC Associates Program, an affiliate advertising program designed to provide a means for sites to earn advertising fees by advertising and linking to Amazon.com. Amazon and the Amazon logo are trademarks of Amazon.com, Inc or its affiliates. Copyright © 2018 Floral Skin | All Rights Reserved.